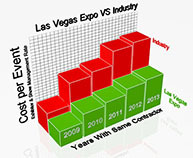 As exhibit builders and Complete Show Services providers, we know the execution and ultimate success of our projects are the result of the meticulous and inexhaustible efforts of our entire Las Vegas Expo Complete Show Services team. We are super aware & diligent of all the behind the scenes machinations that move an idea to a design and ultimately to a fabricated Exhibit reality installed on show site. It’s all the meetings, creative processes, coordination, logistics and infinite resourcefulness of our staff that always deliver on time, on budget, positive exhibit experiences. In the world of Brand Engagement, every Exhibit Environment project is a unique one; an opportunity to leverage our experience while at the same time imagining things that push the envelope of design and technology. It takes a dedicated, focused, collaborative staff to consistently create and build Displays that amplify your event. 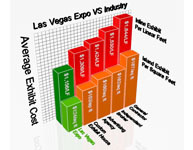 At Las Vegas Expo Complete Show Services our people are why we are able to provide unparalleled service and eye-catching designs for all the work we do. With our core values of integrity and fairness in all our of our dealings, our staff is the primary reason for our customer’s loyalty; it’s the efforts of our team which have allowed us to consistently deliver a game plan for your successful Trade Show participation. Striking designs that are economical and efficient combined with savvy strategic planning all deliver stellar activations on show site…On time and On budget. 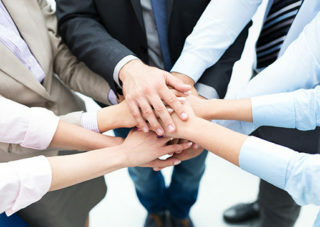 Our team believes in the company’s Core Values, so we’re all aligned in our efforts to serve our customers. 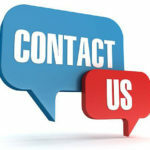 Our satisfaction and enjoyment comes from being of service to our clients. We are singularly a group of people willing to do whatever it takes to help one another achieve the goal of total customer satisfaction. We’re all part of a dynamic industry. Whether its designing new state of the art video walls or floors, or seamless graphics spanning over 100’, or using the newest substrates and hybrid modular designs, we build living experiences for audience attraction AND, no matter the challenges, we make things happen! It’s not just your Account executive and Project Manager that drives the success of your project….it’s our entire campus filled with the 3D designers, builders, estimators, artisans, drivers, marketers, detailers and account managers that make your positive exhibit experience their daily objective.